So, you have installed Android File Transfer app on your beloved Mac and even if it recognizes that the phone is connected, you will see a pop up warning message that says "Could not connect to device. Try connecting or restarting your device". If that is the case, then you have come to right place. 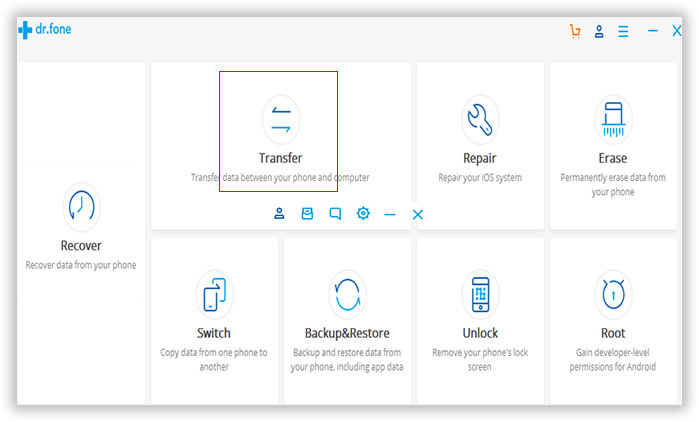 In this tutorial, we will learn to fix any kind of Android File Transfer issue on Mac so that you can transfer personal data between your Android phone and Mac successfully. Now, we will try to fix this issue by both performing diagnostic on Mac and Android phone. If the following troubleshooting fixes the issue then it is great or else you can move on to the next method which will guarantee that the issue will be fixed. Step 1:Try to use another USB cable and see if the issue still persist. If so, then move to step 2. Step 2: Connect your Android phone to Mac via USB data cable. Step 3 :On your Android Phone, tap on "Settings” by swiping down from the top of the screen. Step 4: Turn on USB Debugging and choose "Media device (MTP)” option. 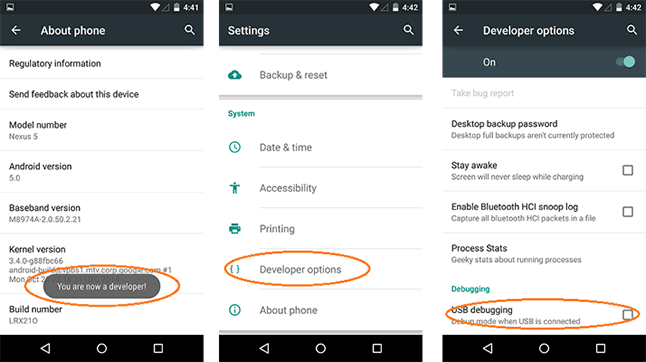 For a better understanding, it is recommended to read:How to enable USB debugging on Android. This should resolve the issue. If not, then it's time to troubleshoot your Mac computer. Step 1: Make sure to use Mac OS X or later and Android 3.0 or later to make this part work. 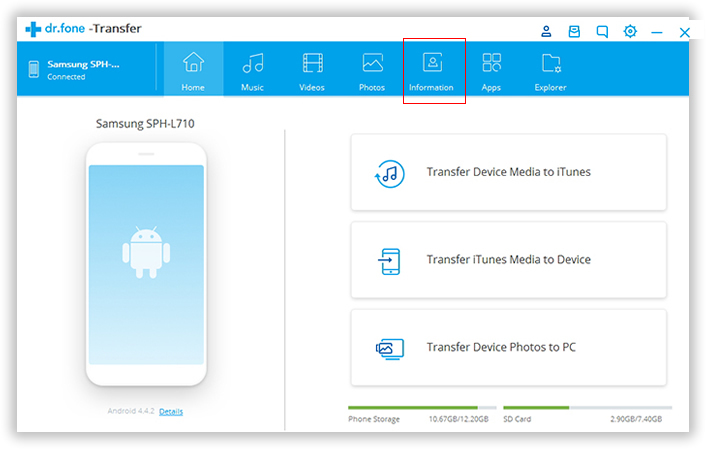 Step 3 : Open Android File Transfer app on your Mac. 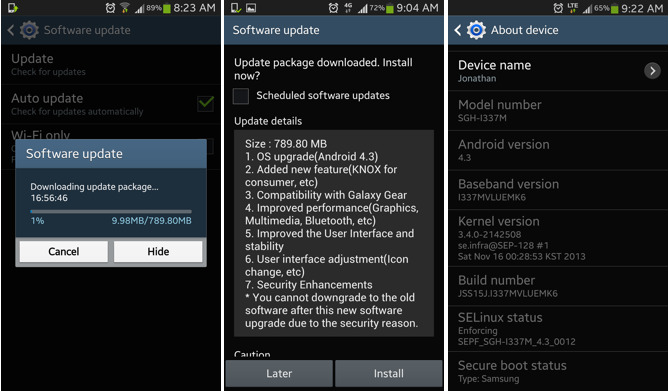 Step 1: Make sure to update your Android device by performing the "System Update”. Step 2: Restart your Android Device and check if it is recognized by your Mac now. These above mentioned method should do the trick but if the problem still is not resolved then it is time to use some external software to make this work. In this guide, we will be using Android Manager for Mac to fix this issue. Android Assistant for Mac is a cool app to manage Android device on a computer. It makes file transfer pretty easily between Android and Mac computer. You can backup contacts, text messages, photos, music as well as other content with this app in a few clicks. It is a great alternative to Android File Transfer. The process is quite simple and you can check the following steps. Firstly, you will have to download Android Manager for Mac on your computer and install it. This software is supported by the latest macOS to give you the best experience. After installation, you should proceed with the following steps. After successfully installing the software on your Mac computer, it is time to launch the app. You should be able to see the following screen after opening the app for the first time on your computer. There are several modules within this program, we need to click Transfer button at this time. You should connect your Android Phone to Mac using a USB data cable. The software will automatically recognize your phone and display it on the main interface of the program. If everything is done successfully then you will be able to see the following screen. Now you will be able to transfer file from your Mac computer to your android phone and vice versa. Hover around through the apps, contacts, messages, photos, music, etc. to navigate through the specific file types. 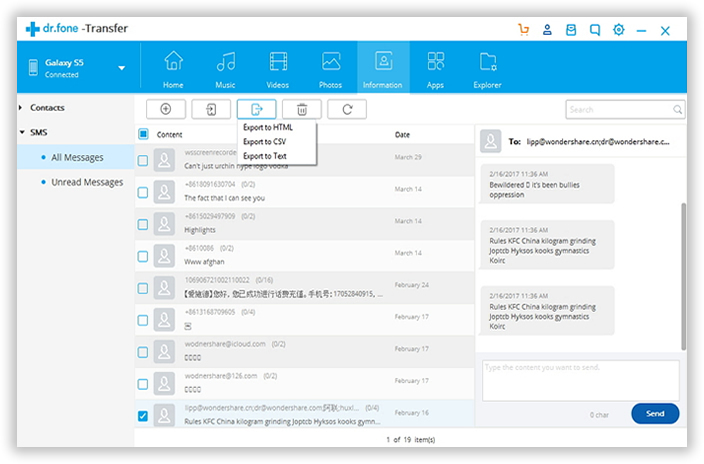 You will be able to import files directly from your computer to android phone using this software. Android Assistant for Mac not only helps to transfer file from your Mac computer to Android phone but also it helps to create and restore backup files. You can manage your contacts and messages using the same software, a simple solution to all of your android problems. Also, the same software can be used to diagnose iOS devices too.